Our mission is to develop an open, challenging and thriving film sector. We are the UK’s national body that supports independent cinemas, film festivals and exhibitors of all forms. We want everyone to have access to cinema that nourishes the soul and changes lives. Applications now open for Developing Your Film Festival! 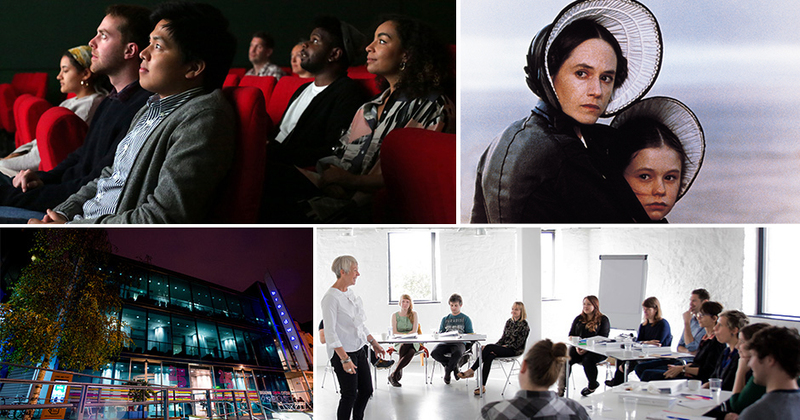 Apply now to our intensive training programme for film festival professionals, taught by experts from some of the world’s most renowned festivals. Now in its 9th year, the course comes 100% recommended by all previous participants. We’re currently recruiting for a freelance Project Manager to work on our next national touring programme, which will be delivered in partnership with LUX, and focuses on the 1980s UK Black Arts Movement. Applications close 26 April, 5pm. Final line-up for Young Audiences Screening Day! Explore the final line-up for our Young Audiences Screening Day at HOME Manchester on 2 May 2019 – a day of screenings and capacity-building sessions to inspire greater engagement with audiences aged 16-30 and younger. We’re delighted to announce the next two programmes in our incredibly popular Britain on Film tour: Britain on Film: Protest! and Britain on Film: Welcome to Britain. Both programmes are now available to book with subsidised bookings fees and in cinemas on 22 March. Our tour of four exceptional films by trailblazing New German Cinema director Margarethe von Trotta, often hailed the world’s leading feminist filmmaker. Whether you’re starting a cinema or redeveloping one, we have decades of experience creating amazing venues and are here to help. Planning an outdoor screening, but not sure where to start? Download our practical guide to all aspects of outdoor screenings.